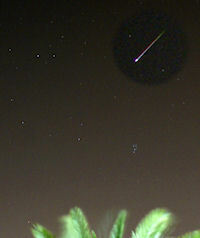 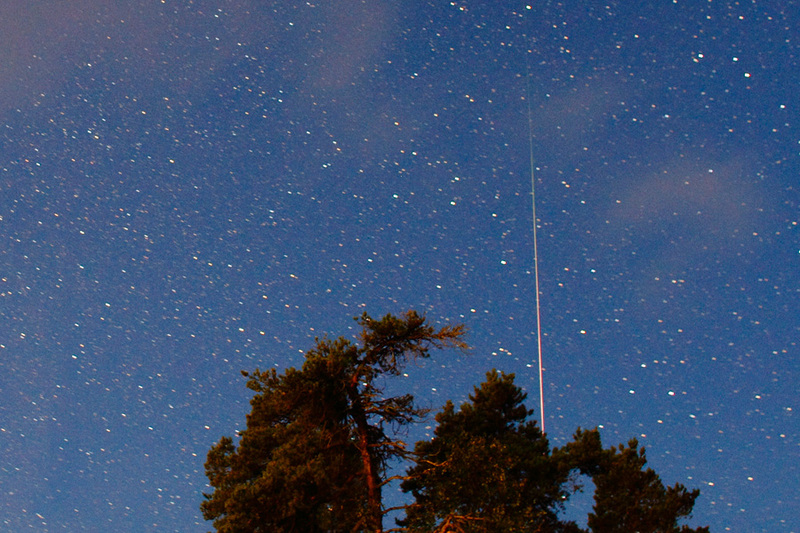 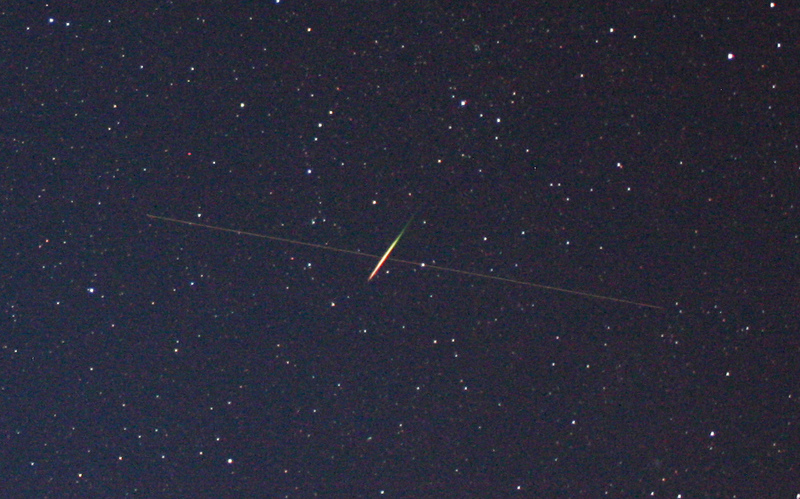 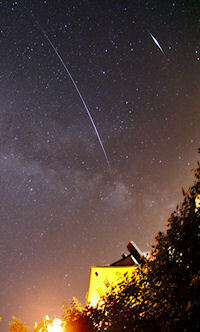 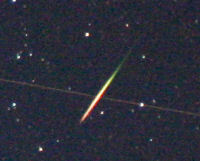 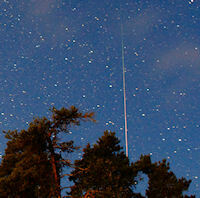 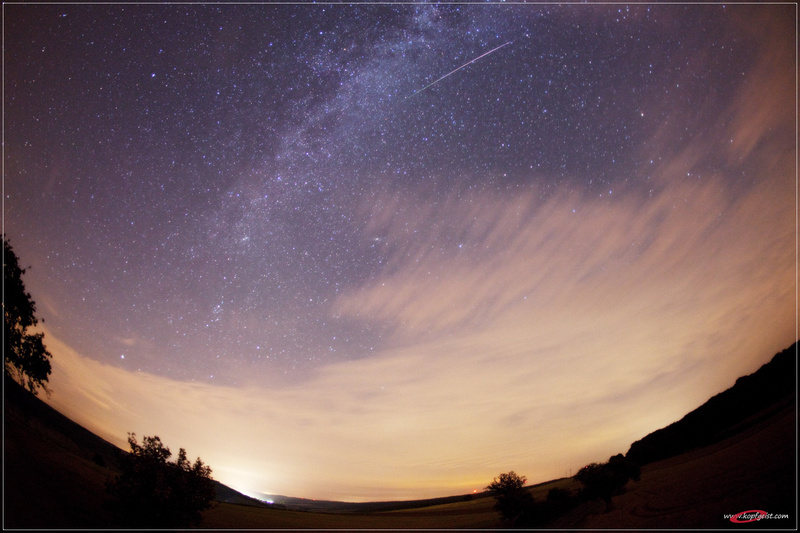 A Perseid meteor and satellite. 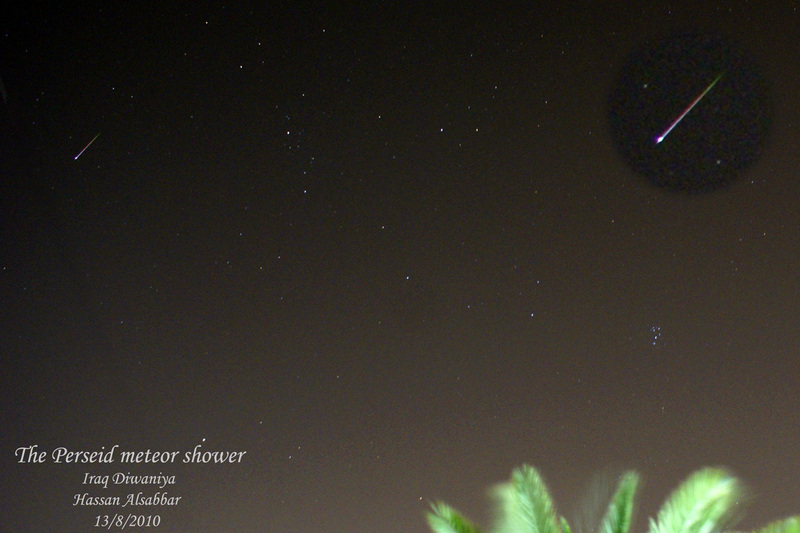 Photo details: Canon EOS 40D, ISO 1600, exp 30s. 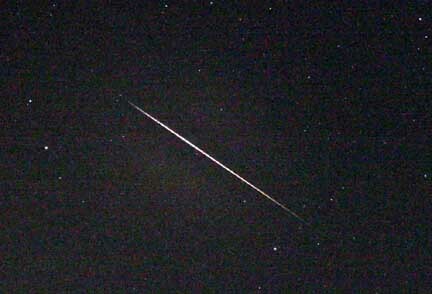 It was a nice clear night , the sky was filled with stars, then bam!, a fireball streaked across the heavens, then another. 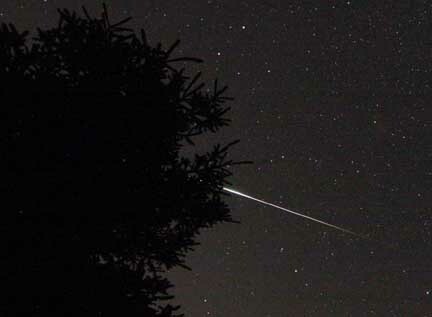 Jacoté, my son , and now a star gazer was cold , but when the first meteor lit up the sky he was hooked, and stay up all night taking in all nature could dish out. 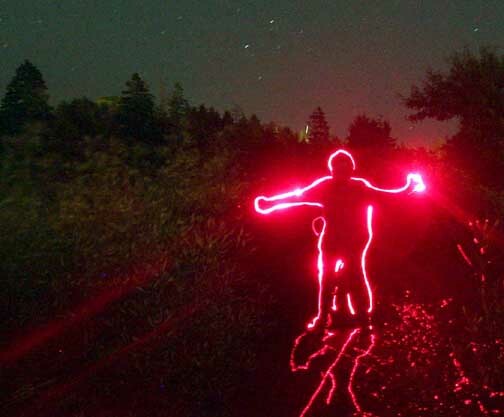 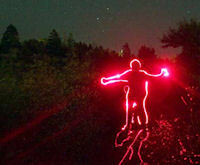 At one point he even became an alien glowing red on a local walking trai. 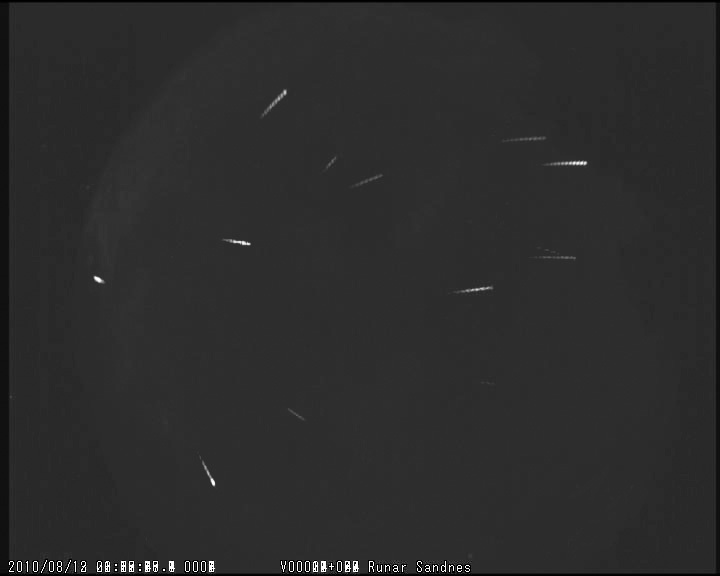 Bad weather at the perseid maximum 201, but I got a few ones. 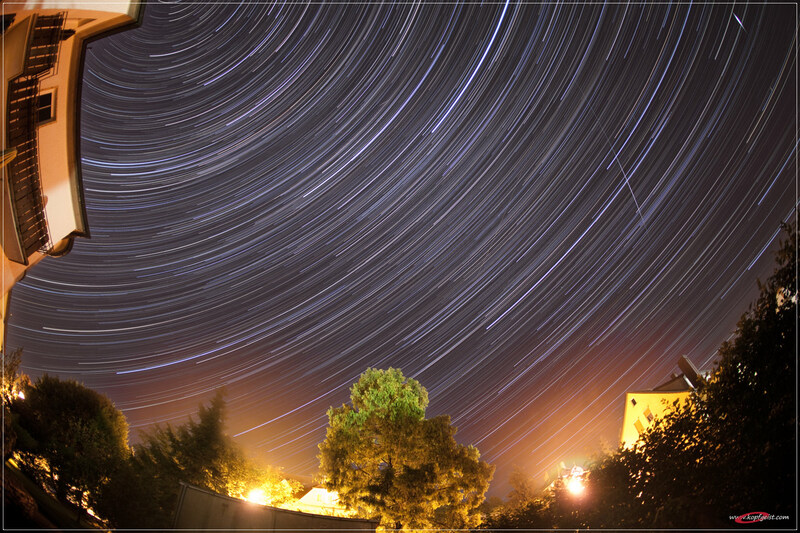 I used a Canon EOS 5D Mark II with an EF 15 mm Fisheye lens. 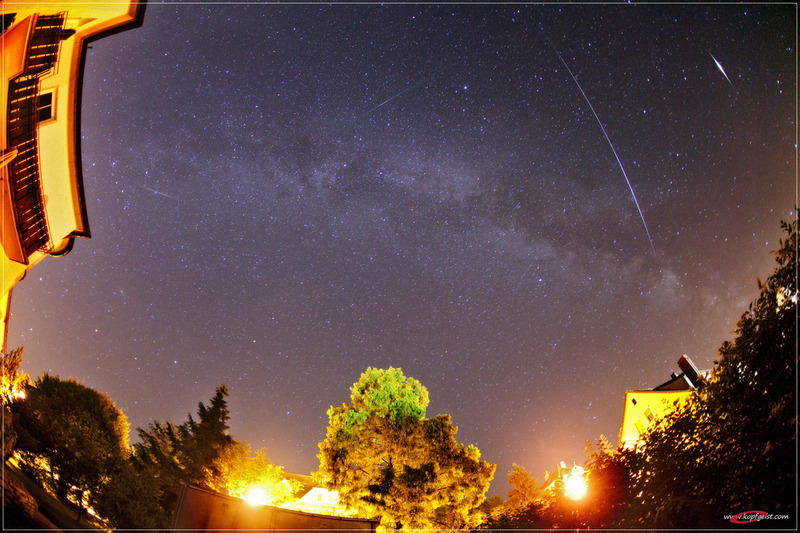 I've taken countless one minute shots at 2000 iso speed 10th/11th and 12th/13th August.